They command international attention, have amassed millions of followers on social media, and collaborate with the world's biggest brands. But you still have to pick up their poop. 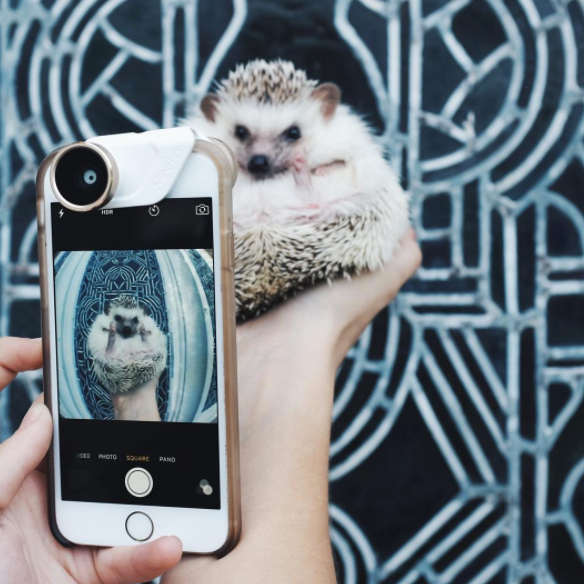 Animal influencers are undeniably on the rise. 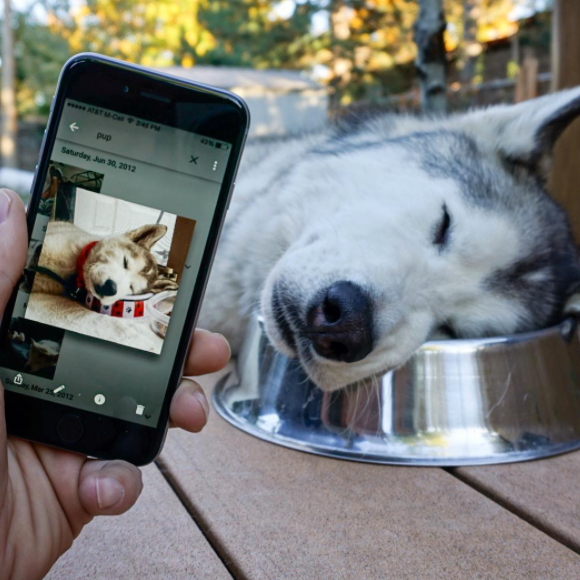 These pampered pets (and their owners/handlers/entourages) enjoy a level of social media fame usually reserved for well, human celebrities, and bring in real revenue through their high-profile partnerships with brands like Zappos, Mercedes-Benz, Purina, and even Google. In other words, these adorable fluff balls make more money on a single Instagram post than you, a human, will probably ever make on a single Instagram post. Let that sink in for a minute. 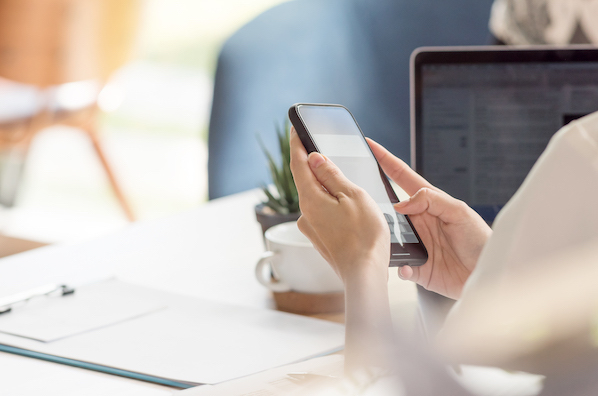 According to Create&Cultivate, social media influencers (animal or otherwise) can expect to earn around $3,000 per sponsorship deal when they hit between 150,000 and 250,000 followers. Many of the pets on this list have over one million followers. 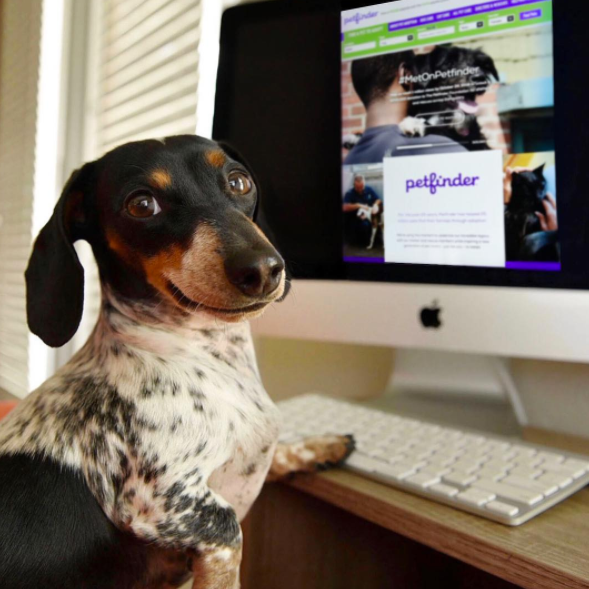 So why the sudden demand for four-legged brand ambassadors? 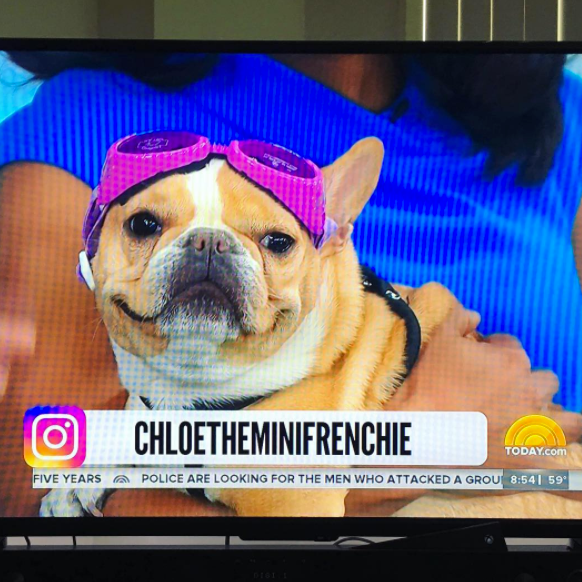 "People have this innate perception that pets generate warm, happy, fuzzy feelings," said Loni Edwards -- owner of Chloe (as in Instagram-famous @chloetheminifrenchie) -- to Digiday. "Brands are starting to reach out because they make people genuinely happy, and they want their ads to make people happy." 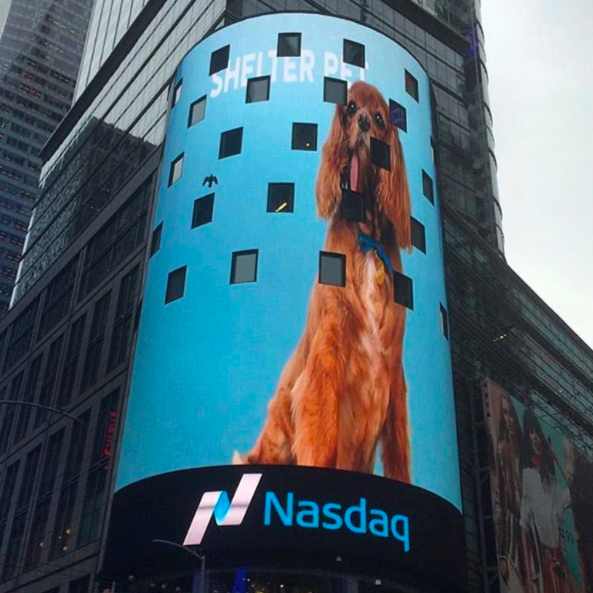 It turns out people really like cute animals -- even if those animals are promoting things. 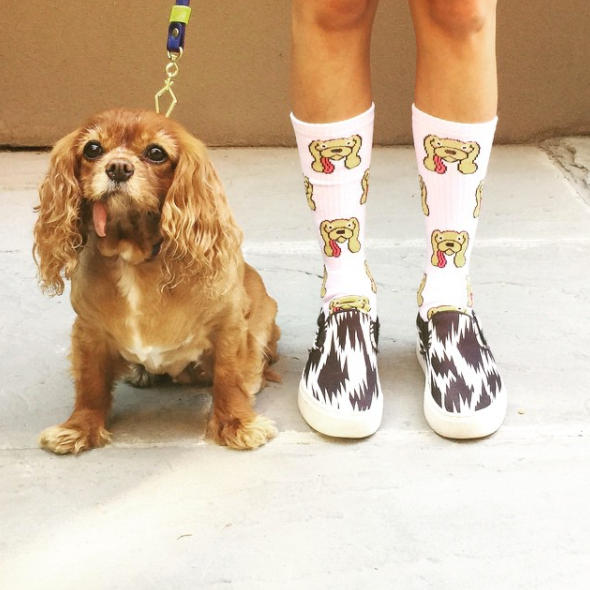 "You don't notice that you are getting advertised to, or you don't care, because you're seeing a super cute dog," Katie Sturino (owner of another famous pooch, @toastmeetsworld) explained to Fortune. 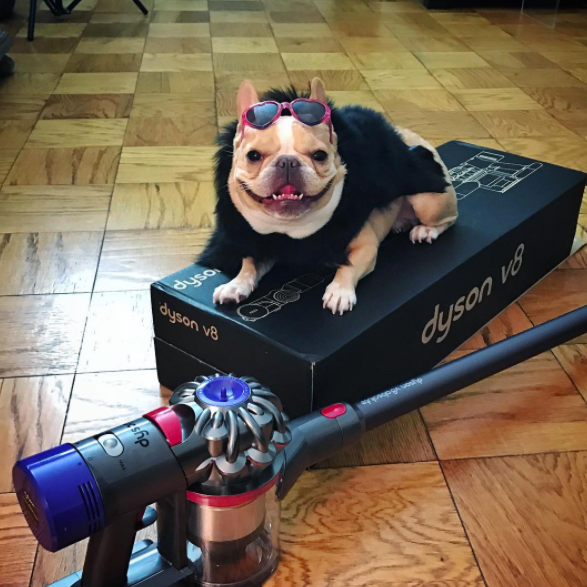 In addition to sponsorship deals, many of these pets generate income from their own branded products, such as books, calendars, apps, clothing, mugs ... you name it, and somebody has plopped a cute animal on it and sold it on the internet. Is this whole thing a little weird? Maybe. Did I follow all of these animals on Instagram? Absolutely I did. 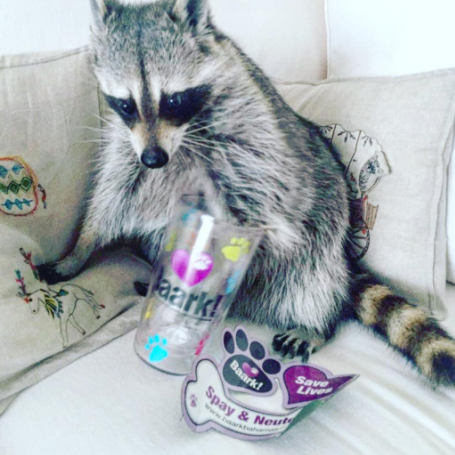 Read on to see how 11 of these furry social celebrities are building their brands and growing their empires. This adorably photogenic trio consists of one very tolerant Weimaraner (Harlow) and two rambunctious Miniature Dachshunds (Indiana and Reese). In what is possibly the cutest rise-to-fame story ever, the three pups became an international internet sensation by snuggling. Their owner, Brittni Vega, has made sure the cuddly canines use their fame for good. 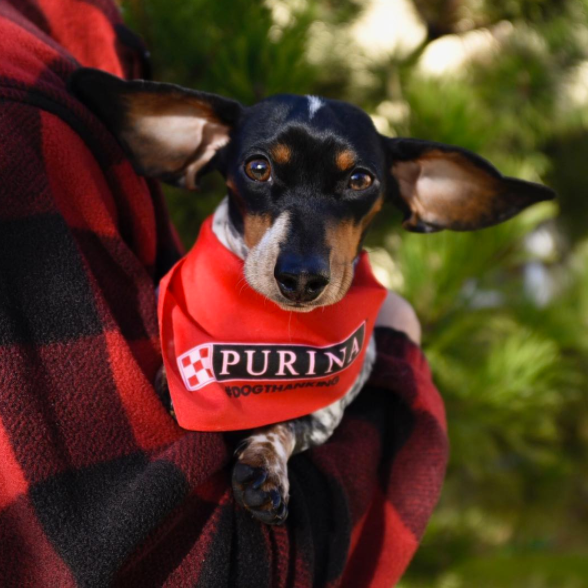 They recently partnered with dog food brand Purina to benefit the Canine Health Foundation, and have worked with Love Your Mellon, a cancer charity. 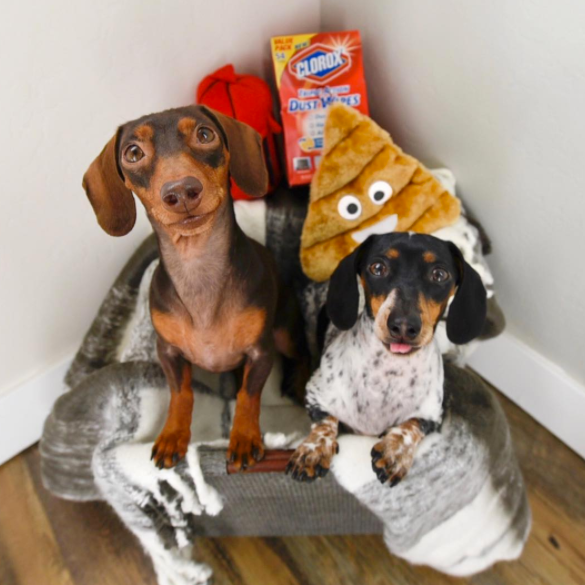 Harlow, Indiana, and Reese have also worked with Clorox to raise awareness about Parvovirus, a potentially fatal virus for dogs, and Petfinder, to help shelter dogs find homes. 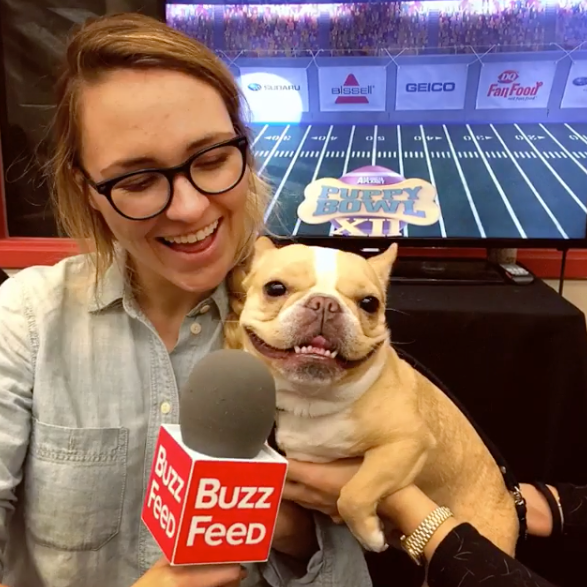 Other promotional clients include Petco, Figo Pet Insurance, and the Subaru Puppy Bowl. 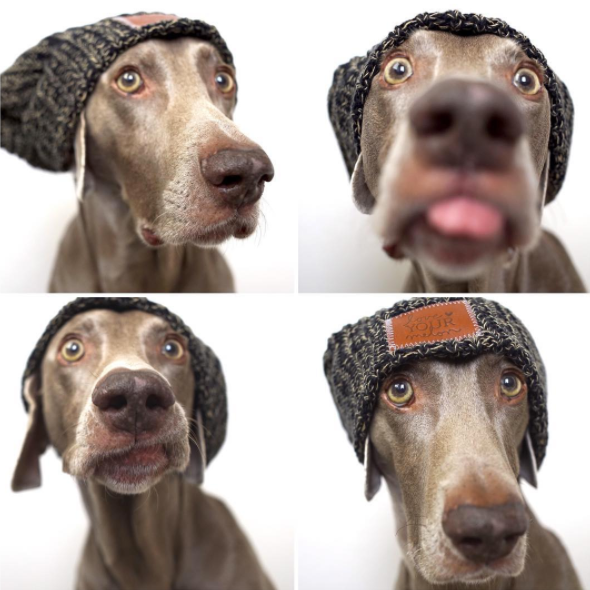 Vega even spun the dogs' popularity into a second Instagram account, @harlowandfriends, which exclusively features photos of dogs available for adoption. 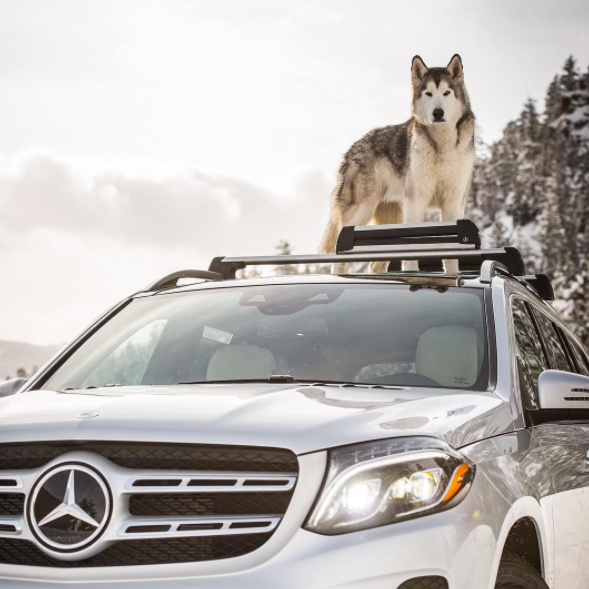 When Mercedes-Benz needed a rugged, handsome new spokesmodel for the 2017 GLS SUV, they didn't reach out to any old movie star -- they got Loki, a Husky/Arctic Wolf/Malamute mix, to be the face of their latest campaign (Move over, John Hamm). "Loki and his story aligned particularly well with our SUV portfolio," said Mark Aikman, general manager of marketing services for Mercedes-Benz USA, to Digiday. "Our research has shown that a large number of SUV owners have pets." 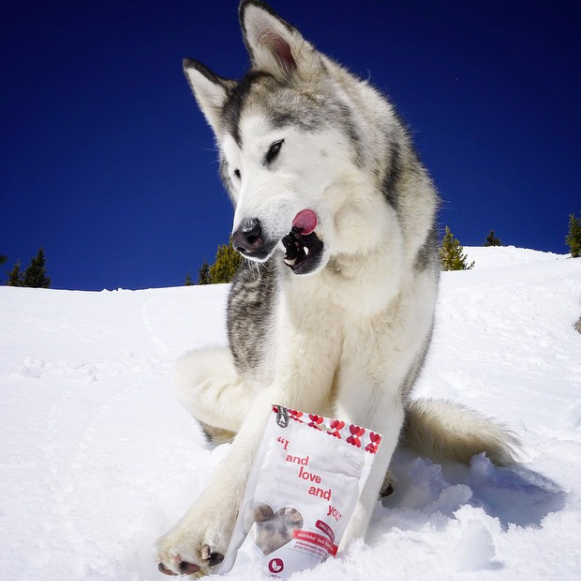 Known on Instagram as "Loki the Wolfdog", this gentle giant spends his days traversing the great outdoors with owner Kelly Lund, who donates the revenue generated from Loki's merchandise and sponsorships to two animal charities: Canine Support Teams and Eagle Trail Mountain Wolf Sanctuary. 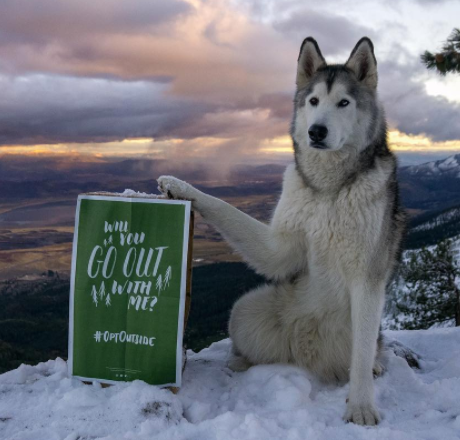 Loki has become a magnet for brands looking to promote an outdoorsy lifestyle, including REI (he's a social media sponsor for their annual #OptOutside campaign), GoPro, Rigid Industries LED Lighting, and Google Photos. This cross-eyed feline is closer to matching Kim Kardashian's 88.3m Instagram follower count than you, probably. Meet Nala, a six year old Siamese and Tabby mix with baby blue eyes and short, chubby legs. 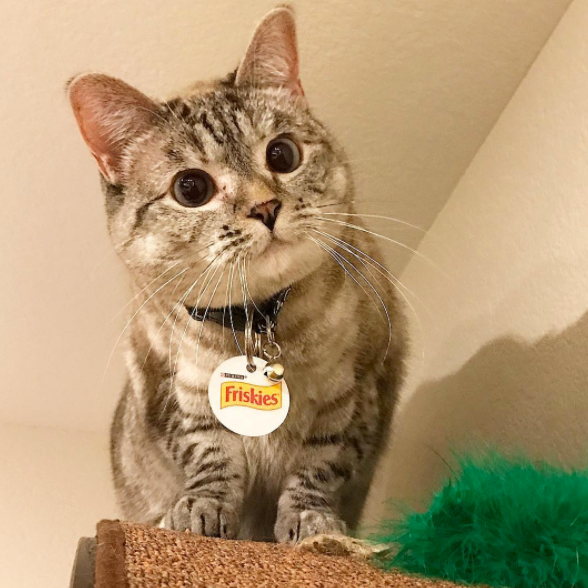 Since she first popped up on Instagram back in 2012, this remarkably photogenic cat has been racking up followers and brand sponsorships left and right. 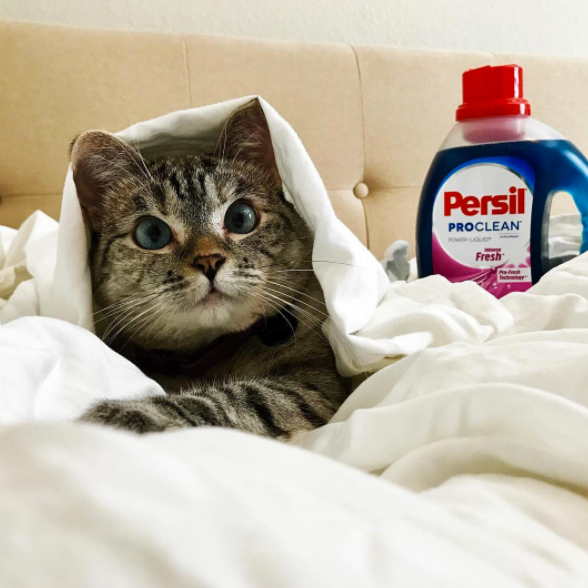 She's been featured on media outlets like BuzzFeed and Daily Mail, and has sponsorships with major brands like Friskies, Persil ProClean, and Zappos. 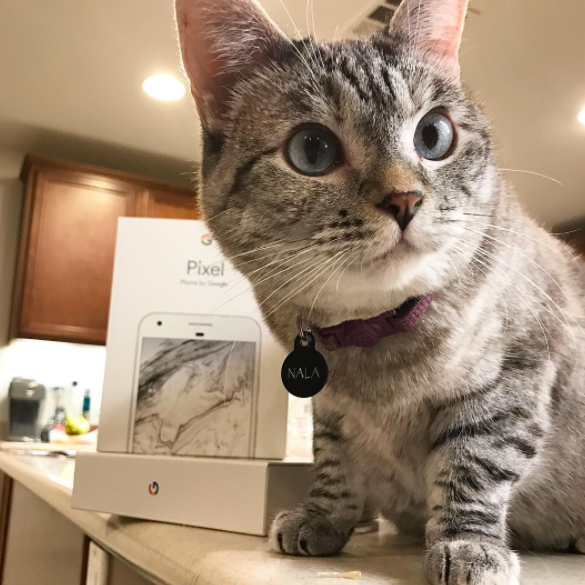 She even recently ran a giveaway for Google's new Pixel smartphone, which the brand gave her as a gift. It doesn't hurt that Nala's owner, Los Angeles resident Varisiri Methachittiphan (known by her nickname "Pookie") has an MBA and strong business acumen. She's even started an empire for her other cat, Mr. White, who has a respectable 1.3m Instagram followers of his own under the handle @white_coffee_cat_. How does it feel to be less popular than a raccoon? Because unless you have one million Instagram followers, you're losing the social media rat race to a plump raccoon named Pumpkin. 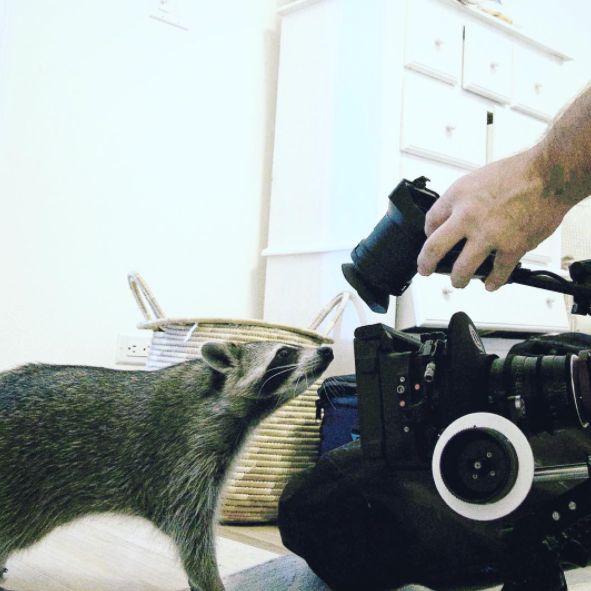 Pumpkin is a domesticated raccoon living a charmed life in the Bahamas with her owner, Laura Young, and canine siblings Toffee and Oreo. Her favorite activities include lounging on the couch, eating avocados, and petting dogs. 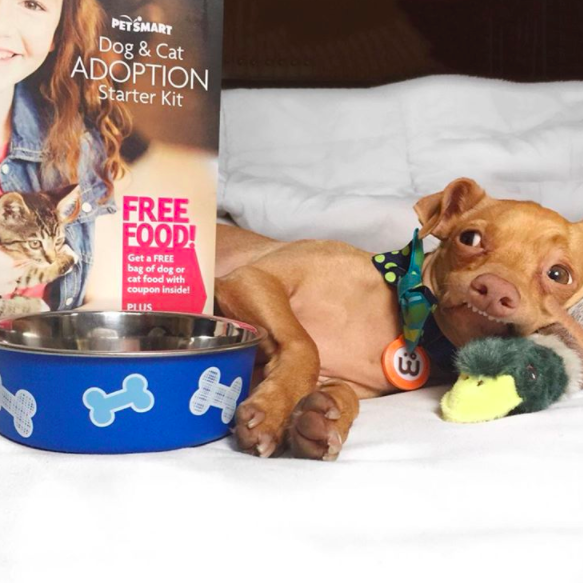 While her Instagram account is noticeably devoid of sponsored posts for now (besides a few posts promoting animal rescue charity BAARK), Pumpkin is a personal branding machine. 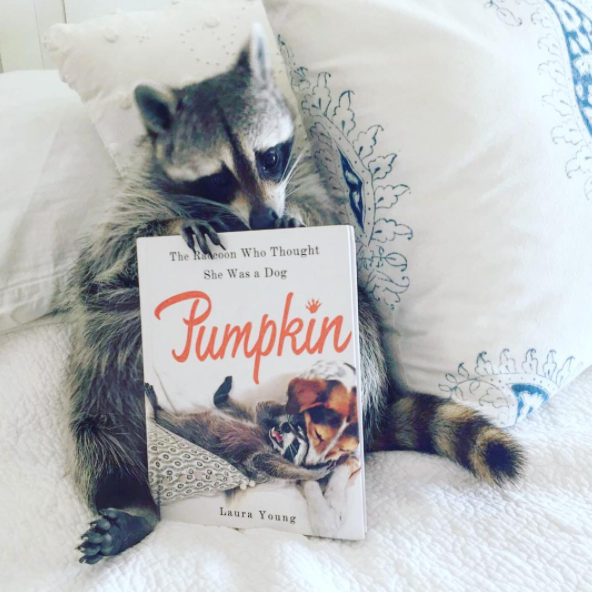 She has a book -- Pumpkin: The Raccoon Who Thought She Was a Dog -- and has been featured on CBS, ABC, EW, and TV specials for BCC and Animal Planet. 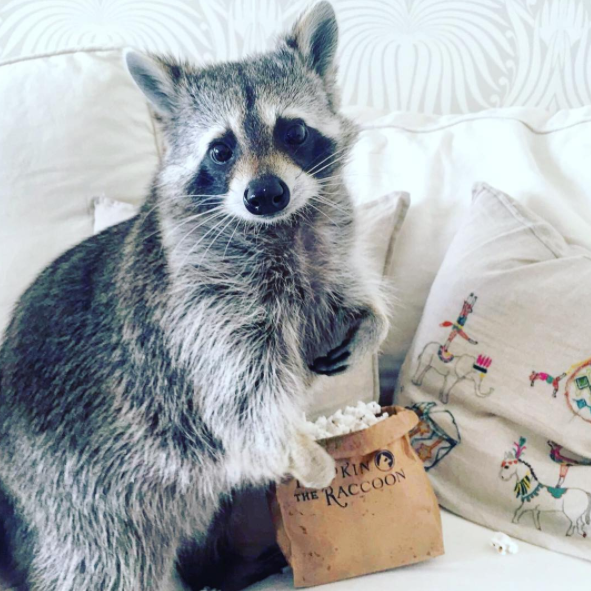 And yes, Pumpkin is eating popcorn out of a Pumpkin the Raccoon branded bag in one of the below photos. A burgeoning fashion icon, Chloe has been featured in major publications like Martha Stewart and Vogue. 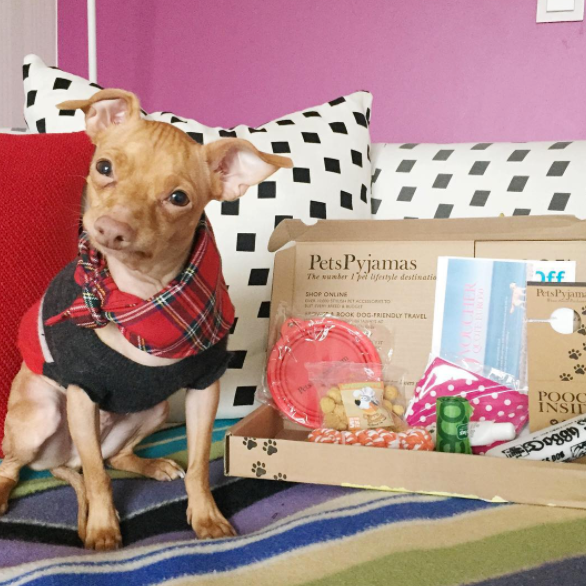 She has her own line of fancy dog scarves (a collaboration with luxury human scarf brand Donni Charm) and Pawtty Bags, which her website describes as "essentially little dog purses to hold poop bags." For her second birthday, Chloe's owner/manager, Loni Edwards, went all out, throwing a charity bash to raise money for the Humane Society of NY. 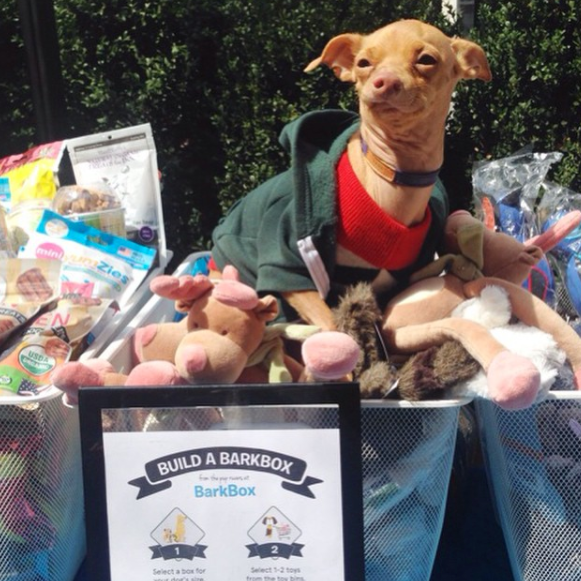 The party was sponsored by BarkBox, Kind Bars, and Bloomingdale's, among many others. 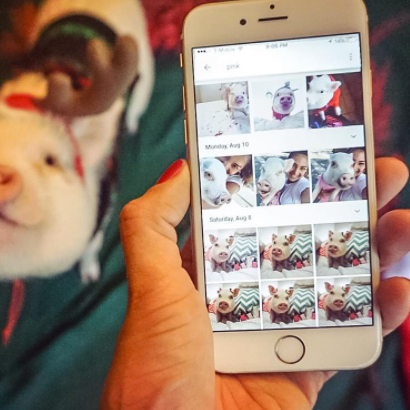 Edwards, a lawyer turned entrepreneur, started Chloe's Instagram initially as a way to share photos of the ridiculously cute pup with her friends and family. In just a few short years, managing Chloe's social media presence and endorsements has evolved into her full-time job. "It became more than me and my friends following her -- there were strangers appreciating her cuteness," Edwards said to Racked about Chloe's rapid rise to stardom. 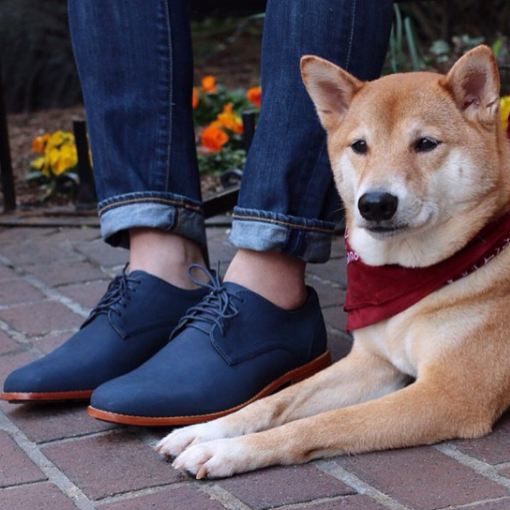 Clothing brands like Coach, American Apparel, and Brooks Brothers have a new muse: a gentlemanly Shiba Inu named Bodhi. 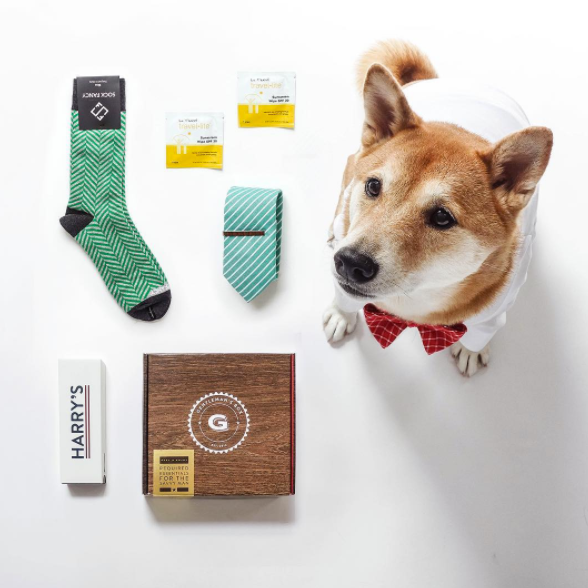 Thanks to his affinity for perfectly tailored suits and brooding stare, this photogenic pooch has made a big splash in the fashion world, starring in major campaigns and even posing for exclusive fashion spread in the New York Times. Bodhi's fame was no accident. His owner and full-time handler, Yena Kim, quit her job at Ralph Lauren to focus on building her dog's brand online. What seemed like a gamble at first has really paid off for Kim and her husband, graphic designer David Fung. 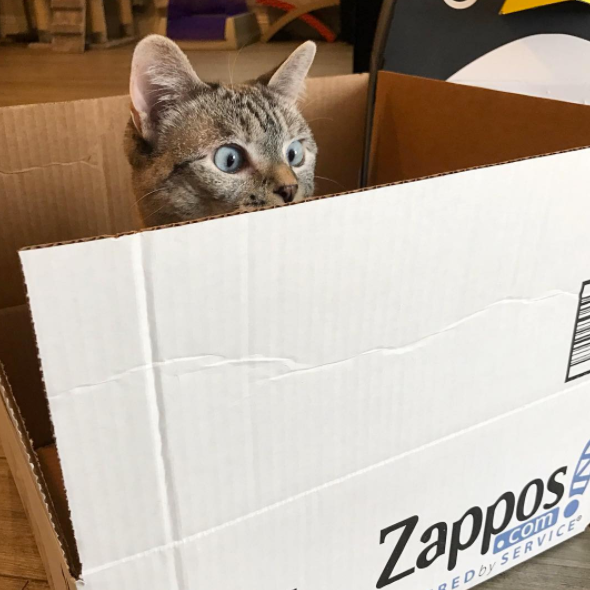 Bodhi's big break came in the form of a viral Tumblr post, and soon brands were reaching out to Kim and Fung as if they were like any other human fashion blogger seeking promotions. Today, Bodhi is sponsored by brands like Rockport Shoes and Gentleman's Box on Instagram, and has his own fashion book. 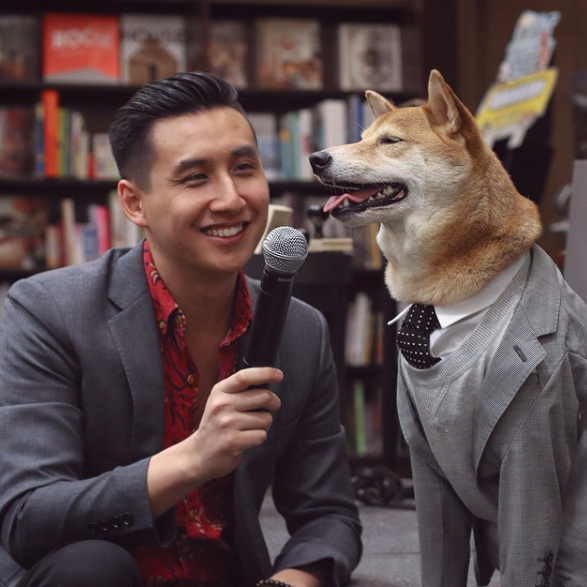 "He's the dog version of the Dos Equis guy," Fung said to Business Insider, "the most interesting dog in the world." 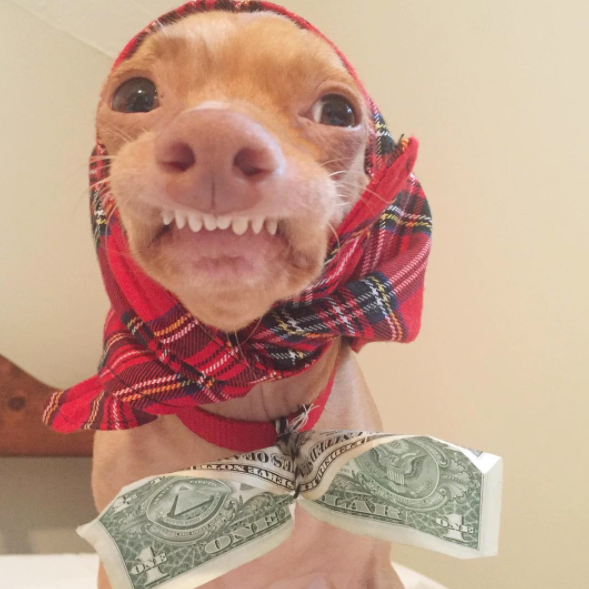 Just like many human social media influencers, Tuna, a Chihuahua Dachsund mix with an undeniably endearing overbite, strives to project an authentic image across his many social platforms. And that means being very selective about the brands he chooses to work with. "It's enticing when you are offered big posting deals," Tuna's owner, Courtney Dasher, told Vice. "But if I'm not at peace with the idea or think it's not a good fit with Tuna and the brand of Tuna, then I politely decline." The pint-sized pup mainly partners with animal rescue organizations and charities, but he also has an online shop that sells mugs, shirts, and other goods emblazoned with his toothy visage. If you're really feeling that Tuna fever, you can even purchase an oxidized bronze ring shaped like his entire head. Because why not. Toast, who is a dog, reportedly wore a custom Marchesa gown and $139,000 diamond necklace to her wedding, which was covered by Newsweek, People, and Town & Country. Toast (who, again, is a dog) married Finn Hearst (also a dog) after the two met at a charity gala and really hit it off, apparently. 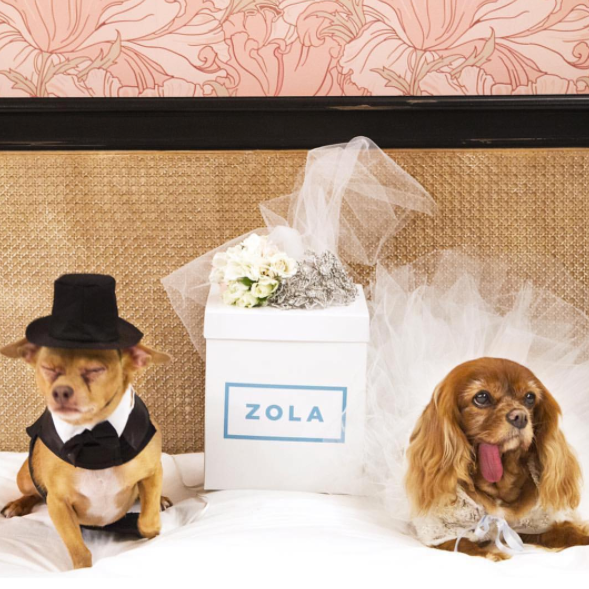 The wedding was a charity fundraiser and promotional stunt for Zola, a wedding registry site, and it was hardly Toast's first foray into the realm of brand promotions. Toast, who is represented by DBA (Digital Brand Architects), is an eyewear spokesmodel for Karen Walker, and has promoted big brands like Febreeze and Swiffer. She's also currently the face of The Shelter Pet Project's latest campaign, appearing in print ads and billboards around the country. 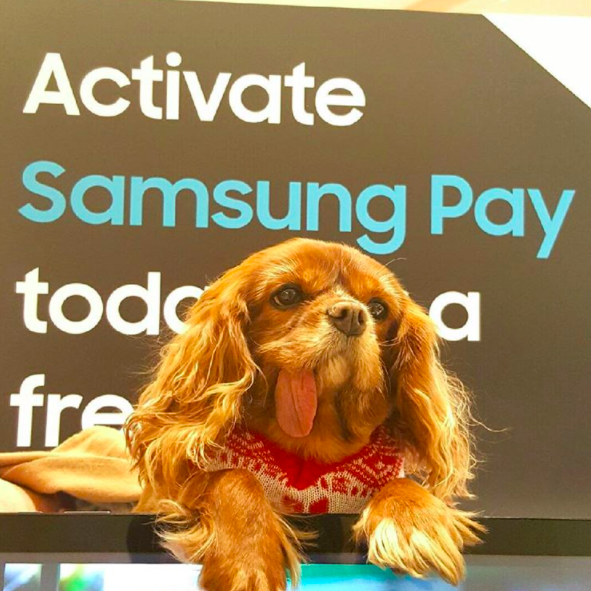 The toothless Cavalier King Charles Spaniel -- who was rescued from a puppy mill -- gained popularity on Instagram for her iconic floppy tongue and apparent tolerance of being dressed up. 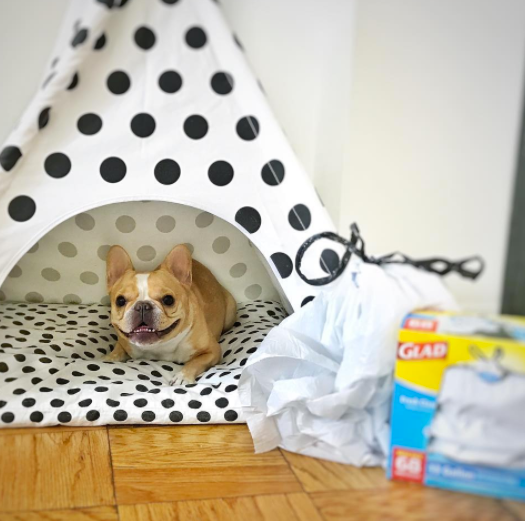 Toast's owner, Katie Sturino, told Newsweek she's aware some people might find her profession a bit strange, but she's managed to use her dog's fame for good, raising awareness for the deplorable conditions at puppy mills. 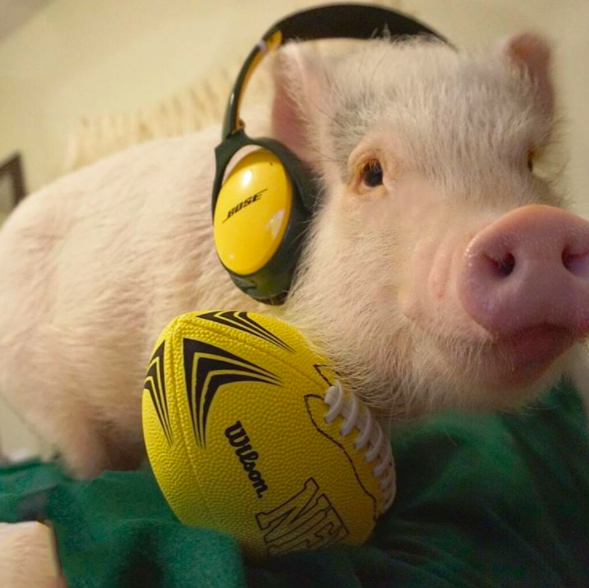 While the vast majority of animal influencers are dogs and cats, some pigs are getting in on the action too. 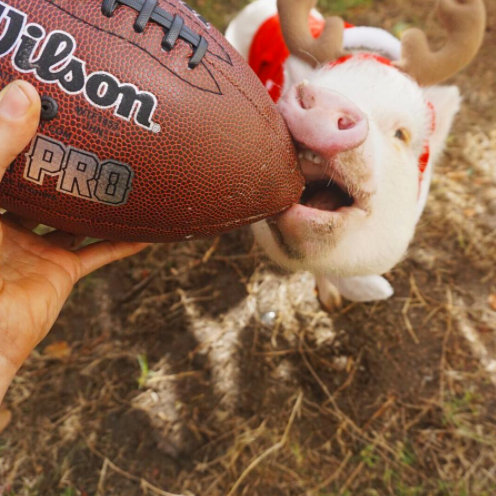 Hamlet, a charismatic mini pig who enjoys wearing wigs and having maple syrup poured directly into her mouth, has found unexpected fame on Instagram and Snapchat. 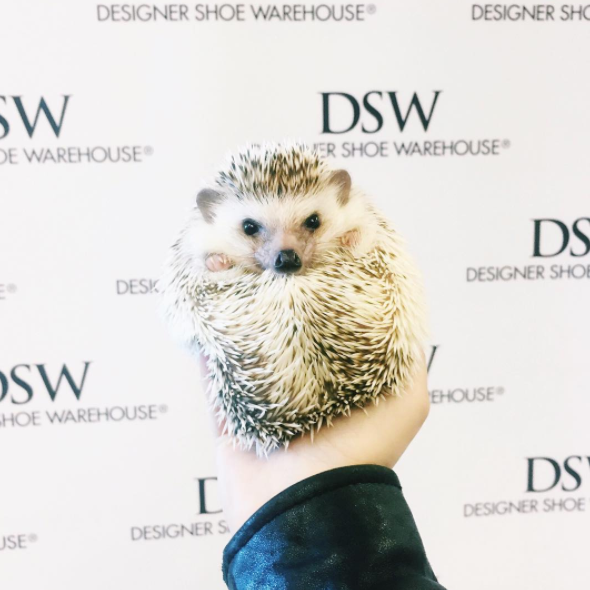 Hamlet's owner, Melanie Gomez, adopted the unusual pet as a support companion after her epilepsy became hard to handle on her own (her husband is extremely allergic to dogs, so a pig was the next best option). 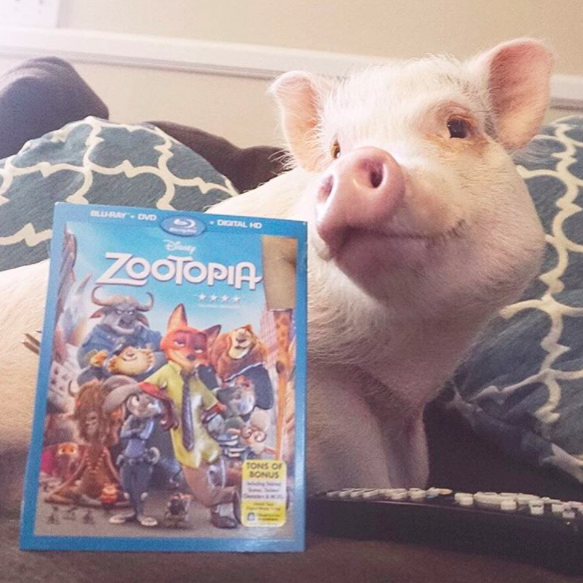 She began posting Hamlet's photos online as a way to make others happy, and never expected that the petite piglet would become an internet superstar. 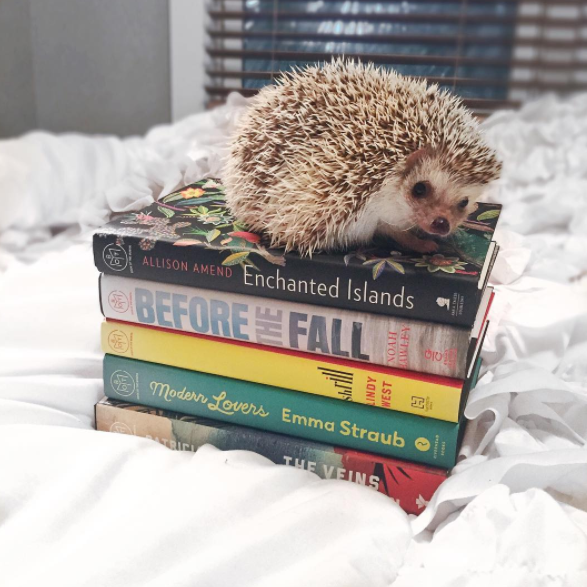 Now a few years into her social media career, Hamlet has been spotted showing off a handful of products on Instagram, including Tostito's snacks, Bose's line of NFL headphones, and the Ollo Clip iPhone lens. 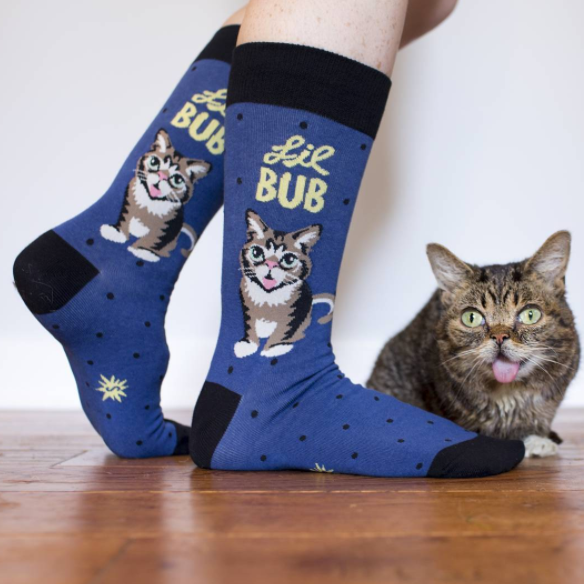 It would be an understatement to call Lil Bub a viral social media celebrity. The toothless tabby cat -- born with a short lower jaw which exposes her tongue -- was arguably one of the first big animal influencers on the scene, right up there with the ubiquitous Grumpy Cat. 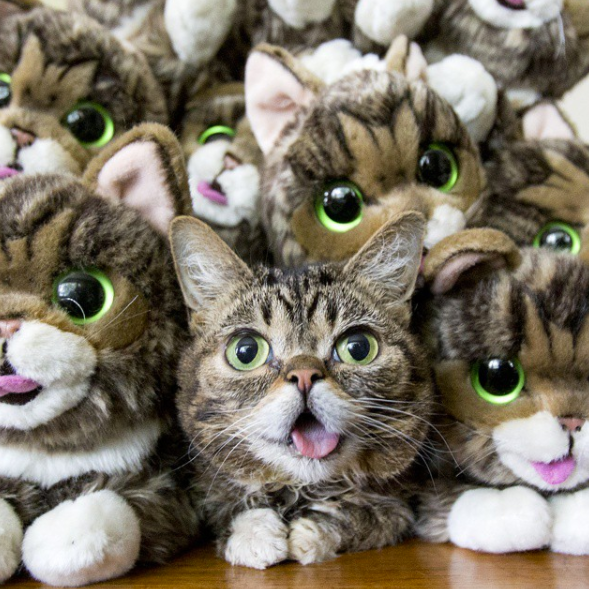 In 2015, a group of scientists crowdfunded $8,225 to sequence Lil Bub's genome. The project was called LilBubnome. Lil Bub is credited on the 2015 electronic album Science & Magic as a vocalist. Vice produced a feature length documentary on Lil Bub in 2013 called Lil Bub & Friendz. It premiered at the Tribeca Film Festival, and Lil Bub got to meet Robert De Nero. Name any object, and it's probably sold with Lil Bub's face on it. The cat has a series downloadable ringtones, a weather app, and a line of watches. 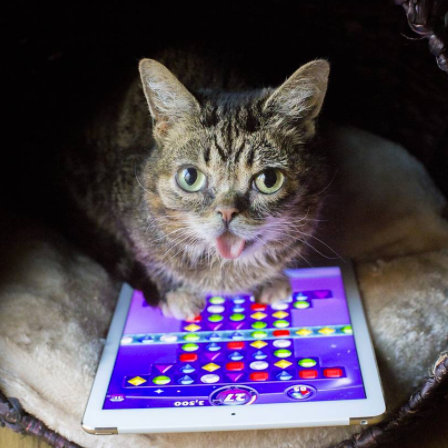 Way to go, Lil Bub -- you're more successful than most startups. 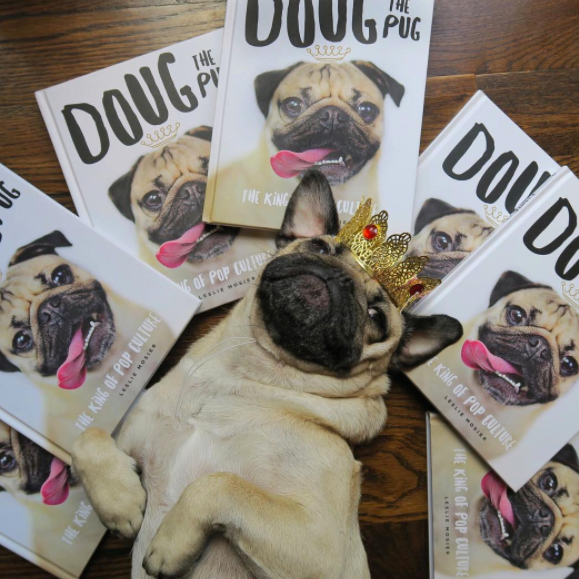 Doug the Pug, the self-declared "King of Pop Culture", is just like us. He likes to unwind after a long day with a hot bubble bath and a glass of pinot noir. Unlike us, Doug the Pug has millions of followers on social media, a book deal, and a close friendship with Chrissy Teigen. Doug's owner, Leslie Mosier, got her start in the music industry before becoming a full-time "momager" for her dog. 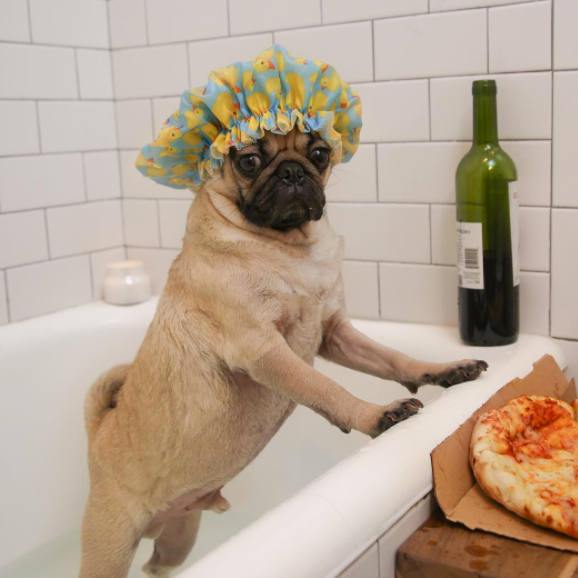 She applied her PR background to Doug's career, and the pug was quickly featured on Mashable and BuzzFeed. One Facebook video in particular -- a 16-second clip of Doug playing with a pug balloon -- went viral overnight, skyrocketing Doug to 2.2 million followers on Instagram and over five million Facebook likes. 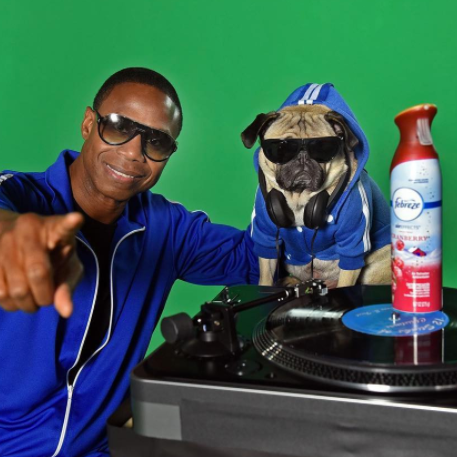 When Doug isn't promoting his book, calendar, or collection of stuffed animals, he can be found promoting brands like Febreeze and repping Dentastix at the Country Music Awards. Instagram does not discriminate by species. If you are a cute animal and you like wearing little hats or holding little umbrellas, the followers will come. 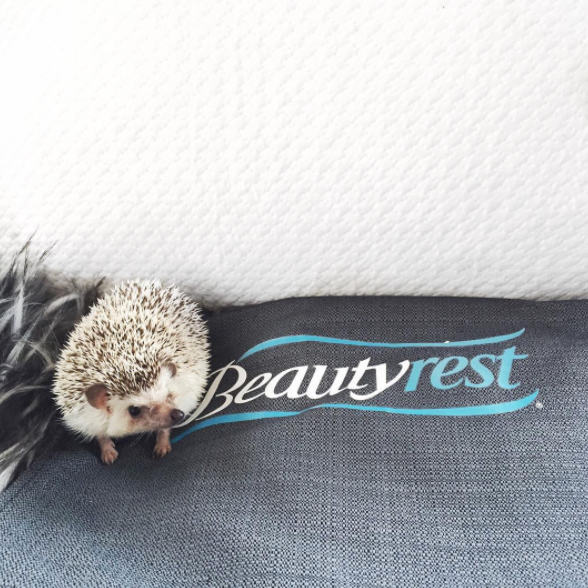 Say hello to Lionel, an adventurous hedgehog with a taste for the finer things in life. 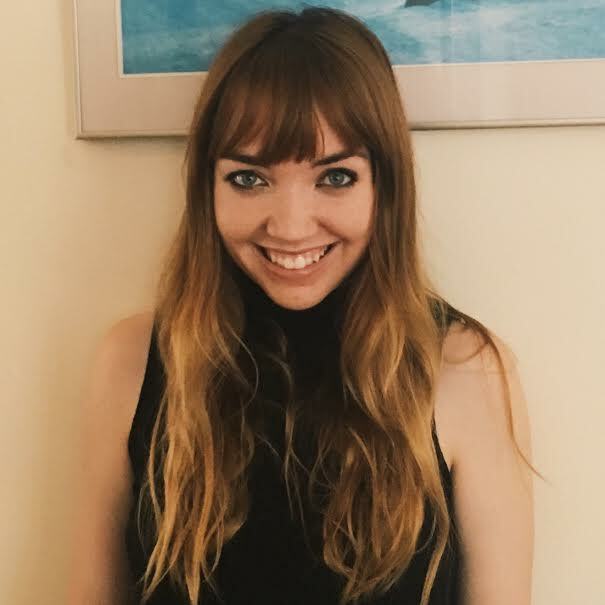 Lionel's owner, Anna Mathias, works full-time in PR, and began Lionel's Instagram account as a side project to show off her social media chops. In a few short weeks, he was featured on BuzzFeed, and the rest is history. 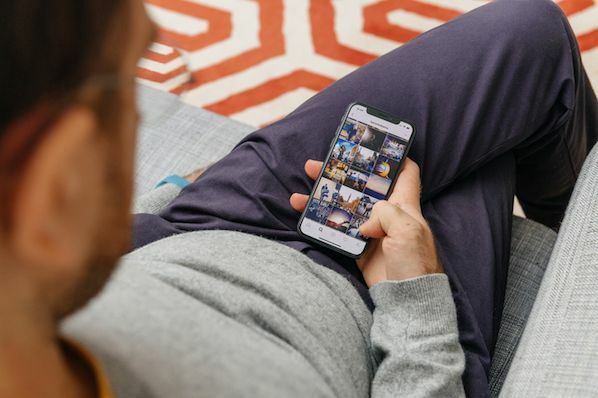 On Instagram, Lionel represents brands like The Book of the Month Club, Daniel Wellington watches, and Style&co, a (human) clothing retailer. This year, he even collaborated with West Elm and the ASPCA to release a custom holiday ornament and tea towel. Who are your favorite animal influencers? Let us know in the comments.